Keep your ears protected from dangerous noises with the Howard Leight Leightning L3 Ear Muff. This L3 was designed with steel-wire construction and padded foam headband and super-soft ear cushions that is provides high performance and robust durability. Keep your ears protected from dangerous noises with the Howard Leight Leightning L3 Ear Muff. This L3 was designed with steel-wire construction and padded foam headband and super-soft ear cushions that is provides high performance and robust durability. The Leightning series also features Bilsom Technology&apos;s patented Air Flow Control technology for optimal attenuation across all frequencies and snap-in ear cushions for easy maintenance. 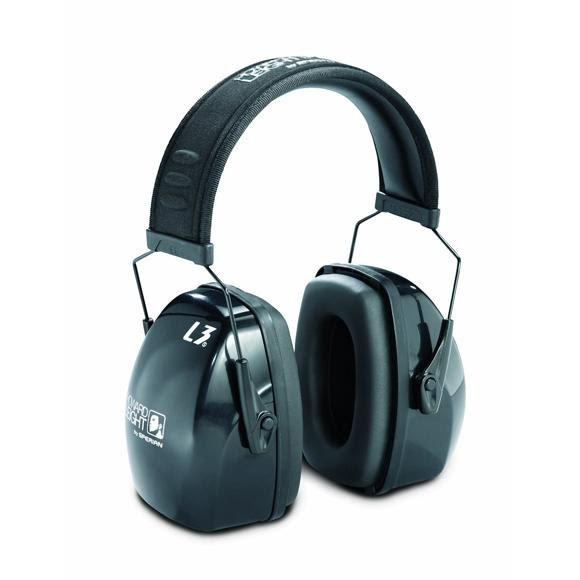 Lightweight earmuff combines maximum protection and contemporary style. Adjustable headband offers a custom fit. Super soft ear cushions that deliver long-wearing comfort.